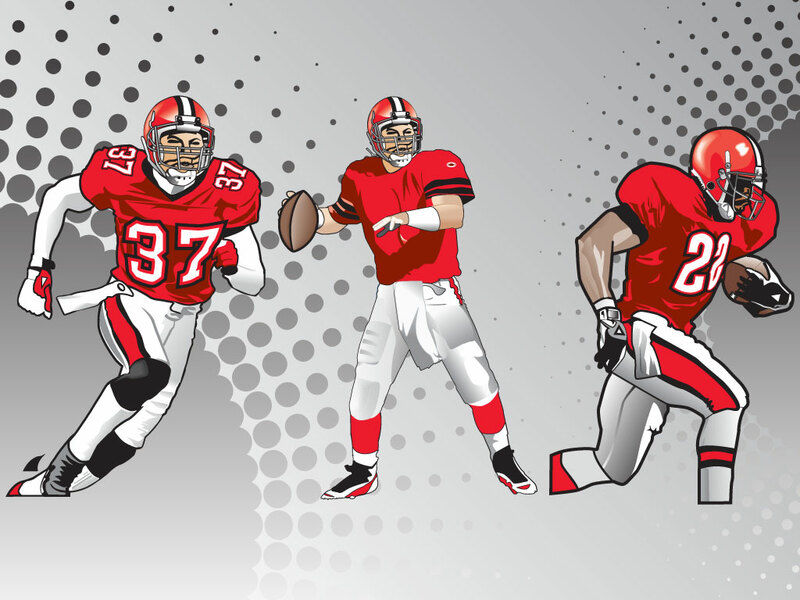 Three football players to choose from in this sports vector pack. A quarterback, running back and defensive back. All are well rendered and ready for your use. Tags: Defensive Back, Football, Quarterback, Receiver, Running Back, Sports.